Lots of cool stuff happened in the last couple days. 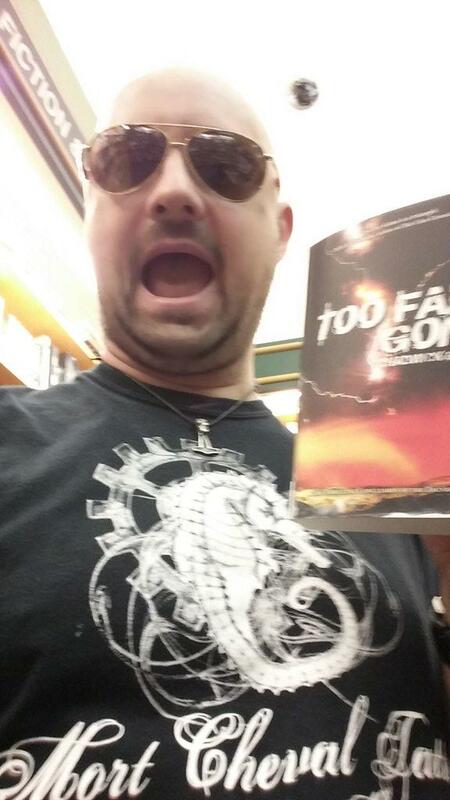 After I was finished with fence construction on Sunday, I decided to be a giant dork and run over to my local bookstore to see Too Far Gone for the first time. The book looks great. It’s as beefy as I hoped and I think the trilogy looks amazing all together on the shelf. Yesterday I was a guest blogger at GMB Chomichuk’s Comic Alchemy blog, talking about why comics are the reason I became a reader. And you can’t be a writer without being a reader. 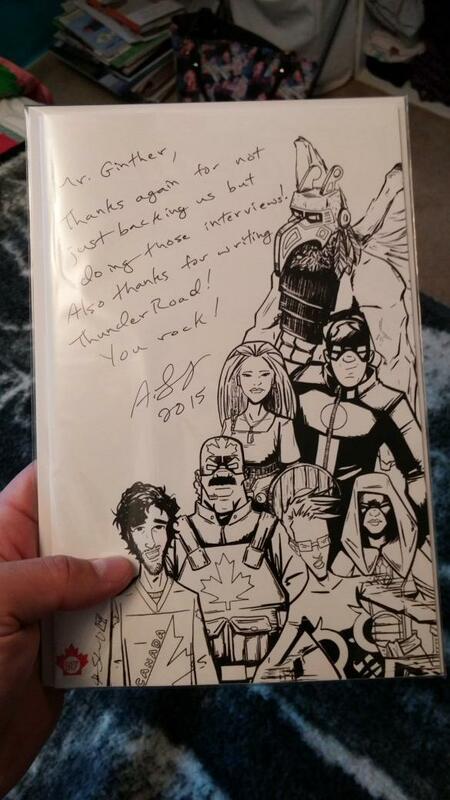 Speaking of comics: My contributor copy of Canadian Corps #1 showed up yesterday! The comic turned out great. 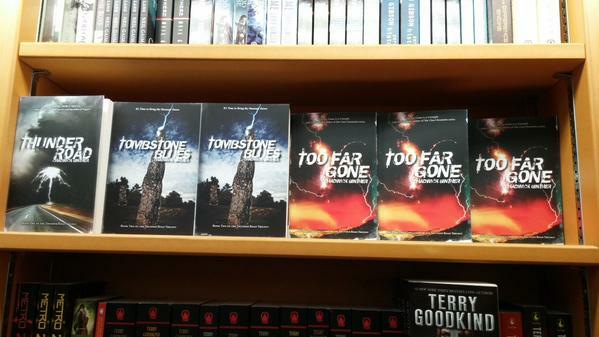 The team at September 17 did a wonderful job putting it together, and I can’t wait to read more. (They’ve hit me right in the Alpha Flight zone, so good job, S17). I know my name is only in the back of the book because I contributed to the Kickstarter campaign, but my name is still in a comic, which is exciting. Next step: to get billing on a comic book cover! Final bit of news, my story “A Taste of the Other Side” from Beast Within 4: Gears & Growls made Ellen Datlow’s full recommendation list for Year’s Best Horror! There’s lots of great stories on there, and I’m stoked to be sharing a list with so many great writers, and so many friends. The second half of the list is here. Thanks to Gears & Growls editor Jennifer Brozek for buying the story and to Ellen Datlow for reading, this is the second time I’ve made Ellen’s long list (first time was for “First They Came for the Pigs”, my story from Fungi) and it feels great. There’s four days left in the Canadian Corps Kickstarter, and while they’ve funded, they’re also very close to hitting one more stretch goal. Rod Salm, letterer for Canadian Corps, took a stab at some of my questions too. Here are his replies. CG: What ís the first comic you remember buying? RS: Uncanny X-men 141 when it first hit the shelves. That was the first comic in the Days of Future Past series written by Chris Claremont. Comic selection in Churchill, Mb, back then was pretty limited so there was no guarantee the next issue would ever show up or how many (my brother tended to scoop up any cool comics before me, the ratter) and with no comic book stores it was a pretty scattered affair collecting comics back then. It was so different than everything else on the shelves but it was months before another X-Men title came in so I was left hanging on for a very long time to find out what happened next. Epilogue: I was lucky enough to have met Chris Claremont and his wife at a convention and had him sign that very book. RS: I’ve always been a creator (art or writing) of some sort, it’s only recently, with Andrew prodding me, to take it to the next step and work on a group project with him and this crew to get into comic storytelling. RS: They are epic! All the skills for lettering are needed in graphic design layout but what’s more exciting: super powered individuals battling an alien invasions or selling a furniture. I’ll let you decide. RS: Andrew, as well as writing a top notch story, has assembled a team of really talented people to pull it off. We feed off each other and are pushing to make this a book of the highest standard. From lettering, to colour, to the pencils and more, we’re all contributing our best work. RS: I hope so! I was inspired by the drafts of the script I saw that I wrote a character within it, Tundra, that I hope I can work with Andrew in getting published. RS: Geography. Canada is really, really big. For a superhero to be effective they have to have a way to transverse this vast expanse. We can’t write one mega-city where all the action takes place because that’s just not Canada. The country has to be taken into consideration in any storyline involving a Canadian superhero. American comics may move locations, but in Canadian comics the location is fundamental to the storytelling aspect. RS: I’ll be getting my webcomic back up and running, www.deathatyourdoor.com, and working on more books with Andrew as well as searching for concept artists for Tundra. CG: Thanks for stopping by, Rod! Good luck!